Goodnight everyone, and have a weekend for the ages! These two gentlemen have been called the greatest musical partnership of the 20th century. 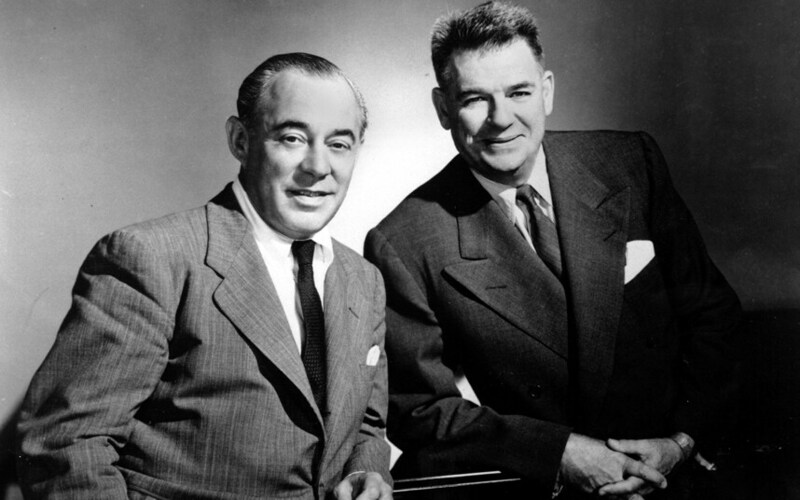 Rodgers and Hammerstein wrote 11 musicals from 1943-1959 and are responsible for a sizable portion of America’s best musical contributions. Want to hear something astounding? At any given time a piece of musical theatre by Rodgers and Hammerstein is probably being performed. Their work is responsible for 34 Tony Awards, 15 Academy Awards, 2 Grammy Awards, and a Pulitzer Prize. Rodgers was the first person to win what became known as the EGOT: he won an Emmy, Grammy, Oscar, and a Tony. He was the principle composer for more than 900 songs and 43 musicals. Hammerstein won two Oscars, eight Tony awards, a Pulitzer Prize Special Citation, and two Pulitzer Prizes for Drama. Starting tonight, this weekend singer Ashley Brown joins the Milwaukee Symphony Orchestra and conductor Jeff Tyzik for an evening celebrating Rodgers & Hammerstein. We’ve done the tough exercise of narrowing down the huge body of work of Rodgers and Hammerstein into a very nice sampler of music that will never die. 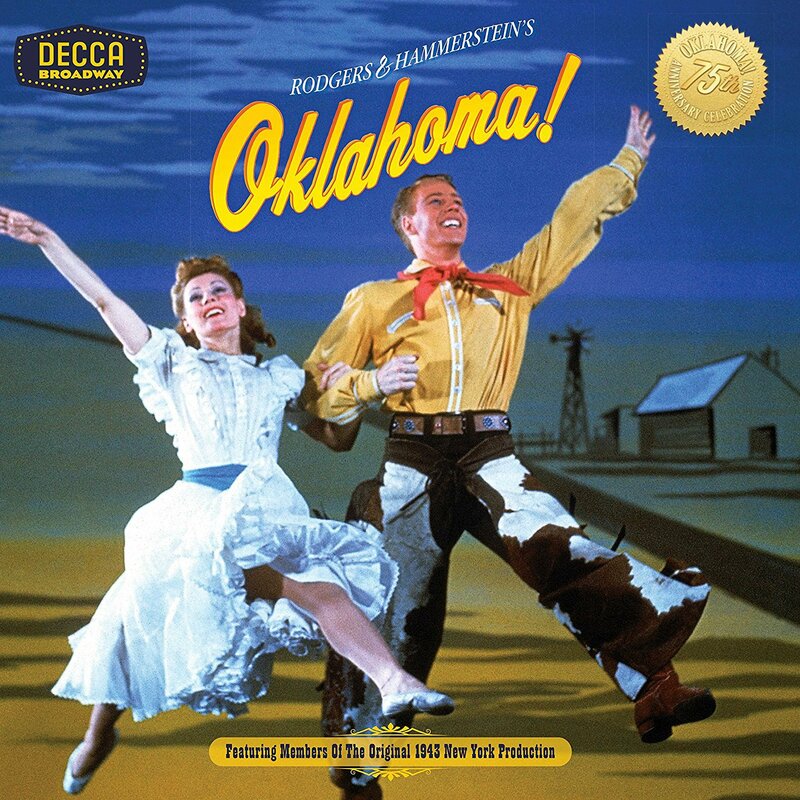 Purdum told NPR Terry Gross, host of “Fresh Air” that “Oklahoma!” was a breakthrough. “The story’s very simple. It’s about which of two guys is going to take a girl to a party. But it involved real characters and real people with real emotions and not some cartoonish figures that were strung together just as an excuse for having some wonderful songs. When possible we like to get rolling with a rousing opener. The title song is a celebration of impending statehood for the Sooners. Here they come down the street. The University of Oklahoma Marching Band. The musical “Cinderella” was written for television with broadcasts in 1957 (live), 1965, and 1997. In 2013 “Cinderella” hit Broadway, was nominated for nine Tony Awards, winning one for Best Costumes. This clip is from the 2013 Tony Awards. Keep an eye out for those great costumes and quite the wardrobe change at 2:30 into the video. Another Rodgers and Hammerstein gem is “Carousel.” Terry Gross noted on her program that famous composer and lyricist Steven Sondheim called “If I Loved You” probably the singular, most important moment in the evolution of contemporary musicals. Her guest, Tom Purdum explained why by discussing the “Carousel” scene with Billy and Judy. “And they’re both instantaneously attracted to each other, but they’re too awkward. They don’t have the words to admit it or to express it. So they sing this love song in a conditional voice. If I loved you, this is how I would behave. And if I loved you, this is what I would feel and how I would think and what I would do. “And what the effect of it is that in these 15 or so minutes of the scene, they’re falling in love in front of our eyes. And by the end of the song, by the end of the scene, we feel it. So wondrous that no one would dare deviate from its intended emotion. So sacred that no one would exploit it for comedic purposes. So serious that no one would dramatically alter it for TV ratings. OK, you didn’t see that coming out of left field. Honestly, I thought that scene was hilarious. But let’s return to serious. Toronto-based chanteuse Sophie Milman has been recording since 2005 when she quickly became Canada’s hottest young jazz singer. When she was growing up, living in Israel (Milman had moved there from Russia where she was born), she developed an affection for Western singers. Next, a song that has become symbolic with Christmas, even though it has absolutely nothing to do with Christmas. It’s a show tune from the 1959 musical “The Sound of Music” that also was in the popular 1965 film. Here’s country star Lorrie Morgan from 1993. Video quality isn’t the greatest, but it’s still nice. 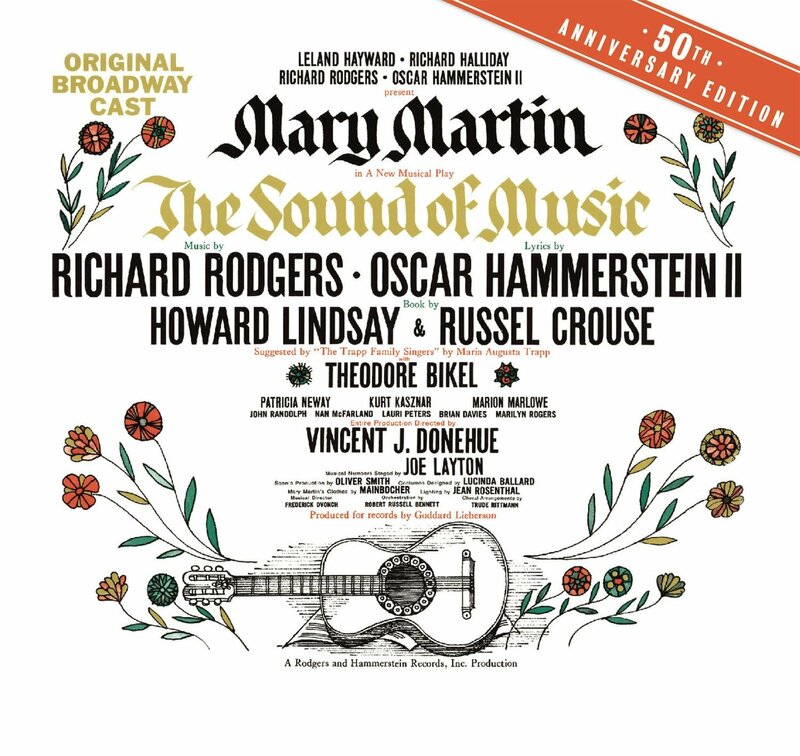 A final excerpt from Tom Purdum’s interview with NPR’s Terry Gross about the female star of both Broadway musicals, “South Pacific” and “The Sound Of Music.” Oscar Hammerstein had first auditioned Mary Martin in the 1930’s. It could have been a lot better for Martin at the time. Tom Purdum tells the story. We close with another “The Sound of Music” selection performed by a large and very talented family. Richard Rodgers died in 1979. He was 77. Oscar Hammerstein died in 1960. He was 65.